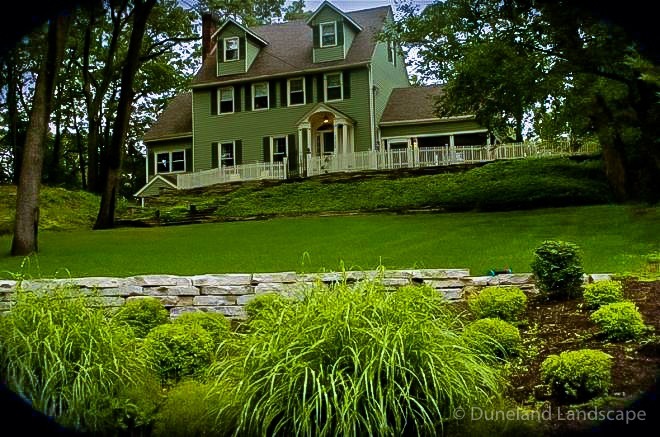 Duneland Landscape designed and installed both landscaping and hardscaping for a residential home in Ogden Dunes, Indiana. 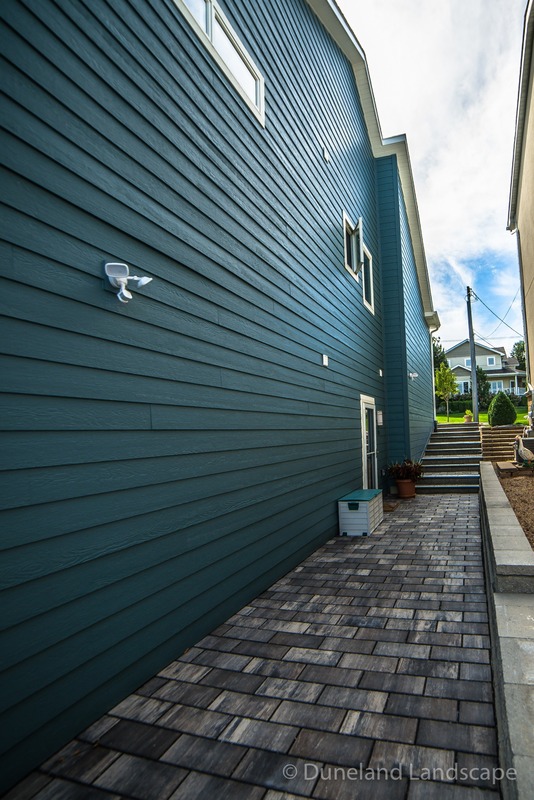 This project consisted of many assets to boost curb appeal and improve the outdoor living space. 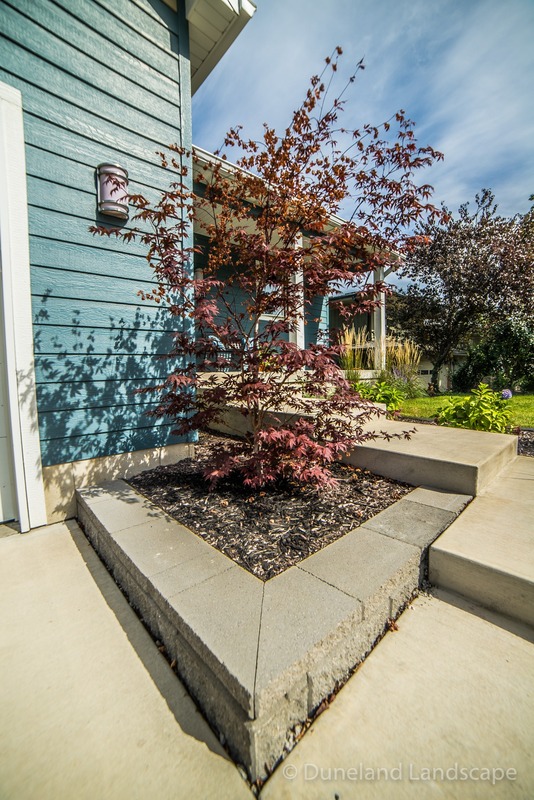 Our team started by adding brick planters to highlight landscaping shrubs along the walkway leading up to the front door. 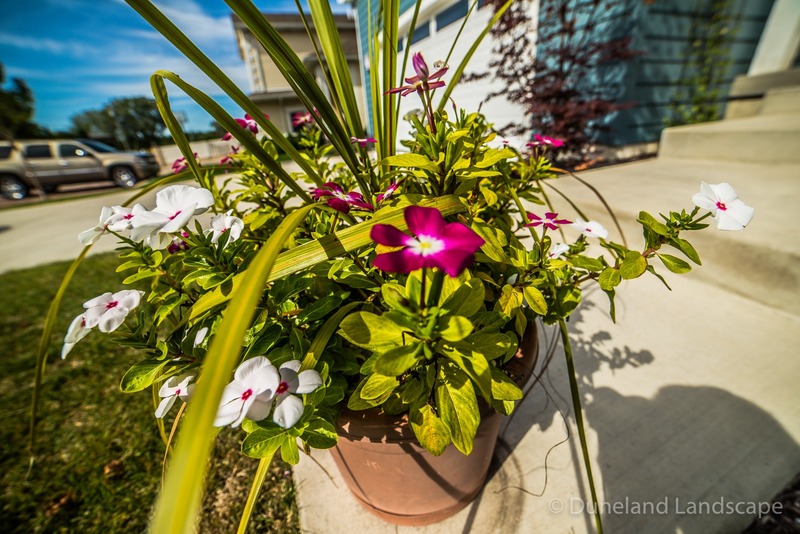 Additionally, we incorporated perennial flowers into mulched garden beds and pots to add vibrancy and depth to the exterior of the home. 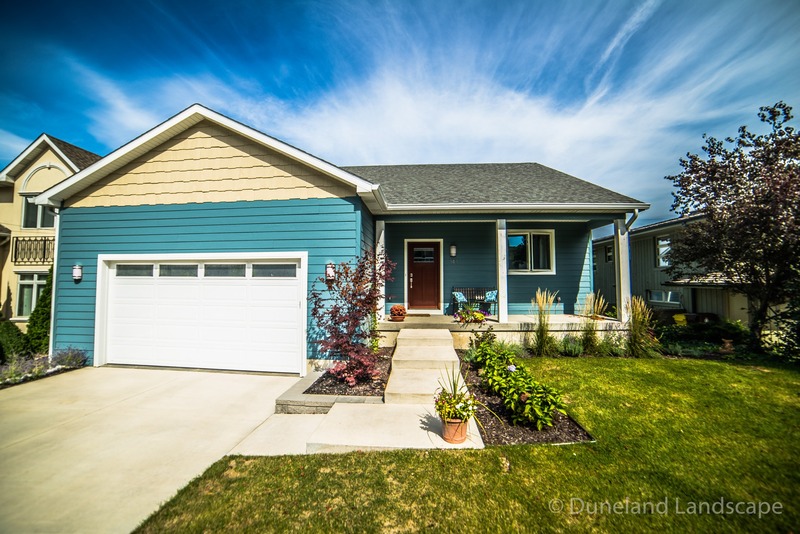 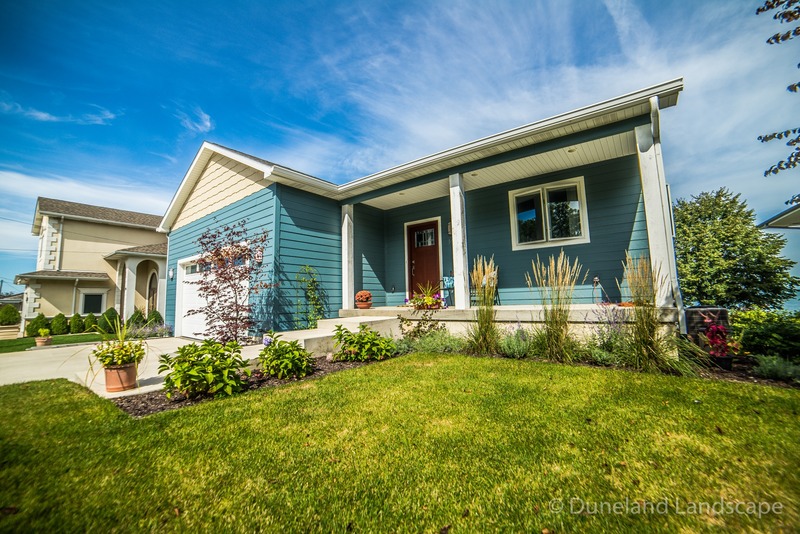 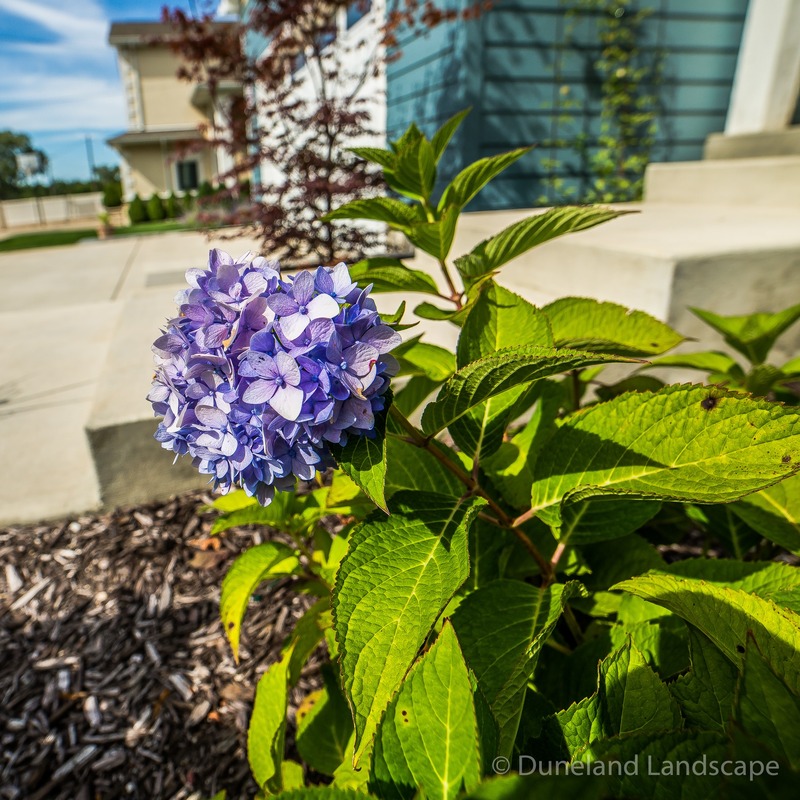 From lush purple hydrangeas to beautiful pink begonias and tall grasses to draw in the eye, this simple landscaping update for this beach home adds a pop of interest to the curb appeal. 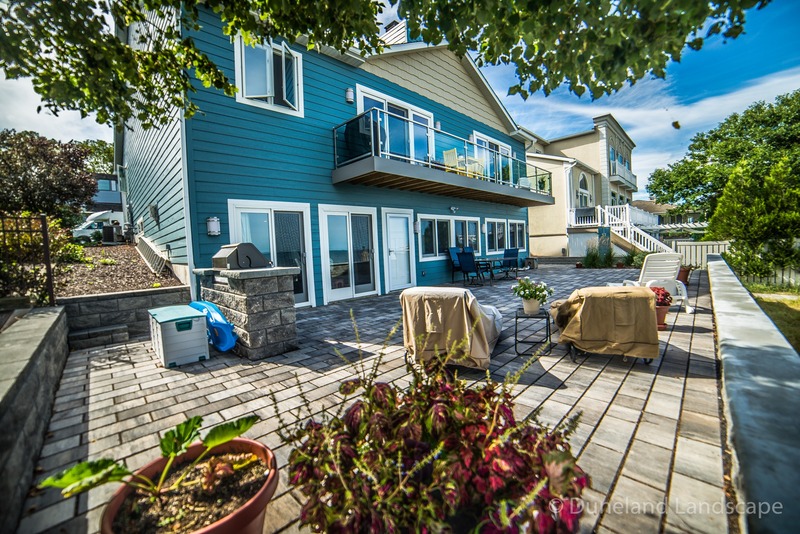 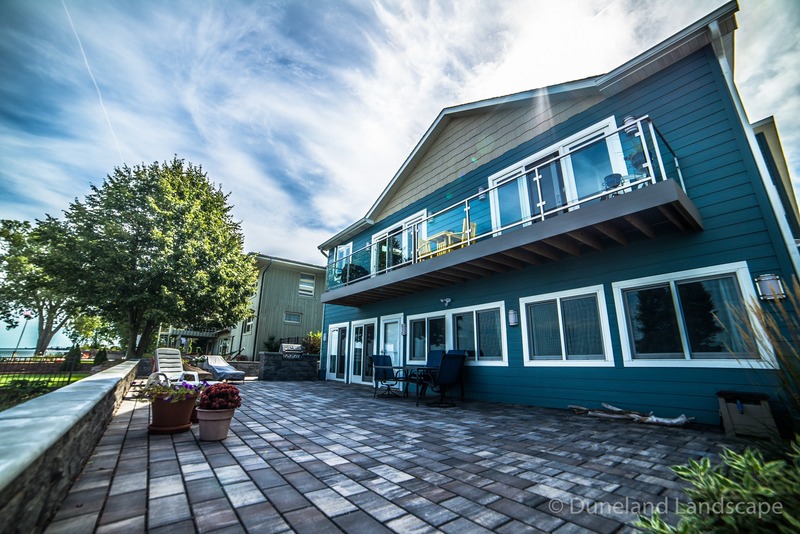 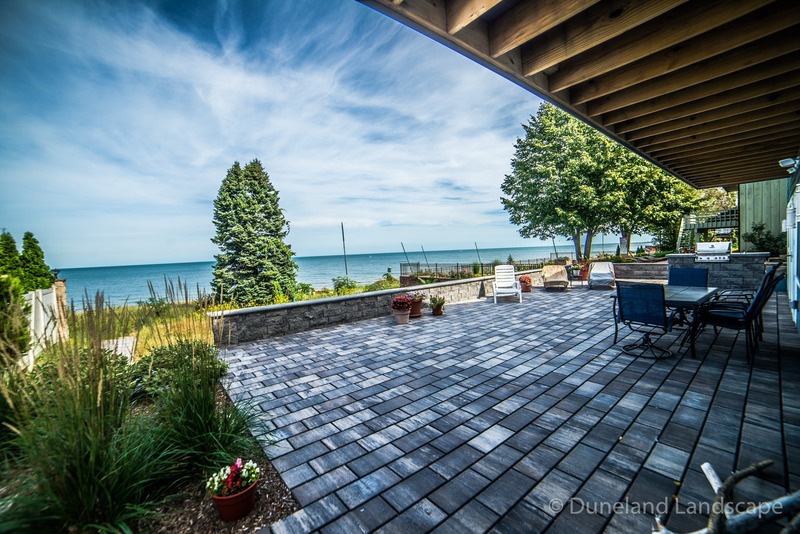 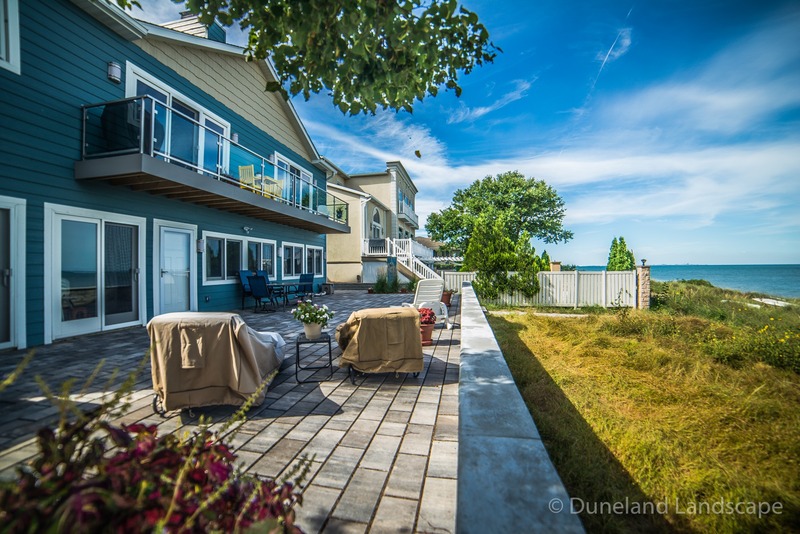 In the back of this Lake Michigan beachfront home, we completely renovated the patio hardscape for a sleek and functional design. 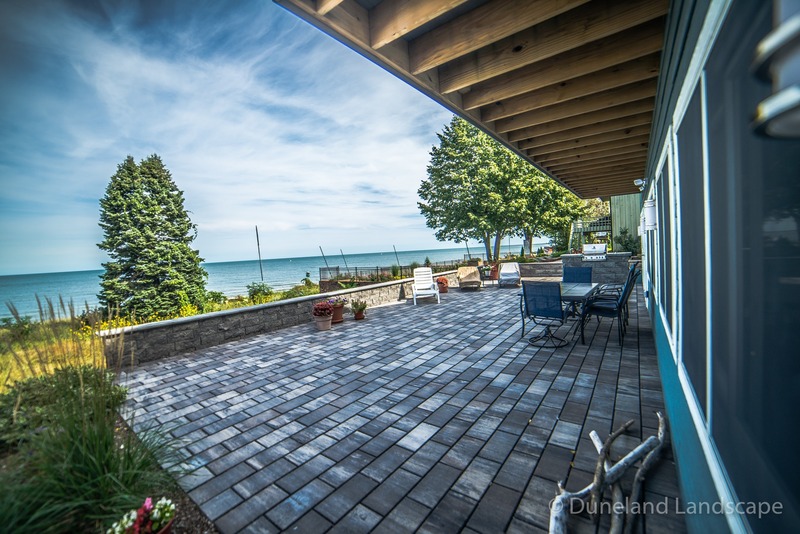 The patio is now made up of dimensional gray bricks and outlined by a structured brick wall that acts as additional seating room. 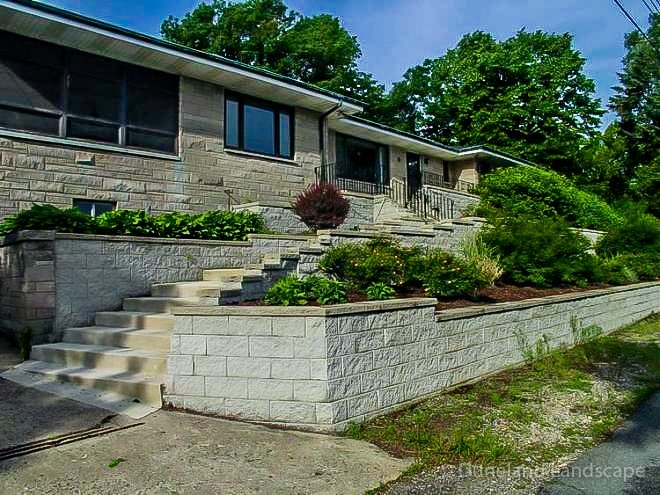 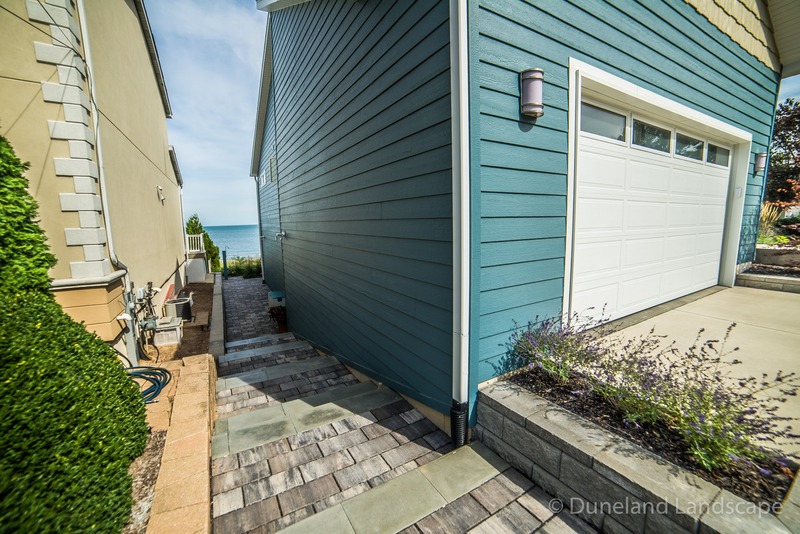 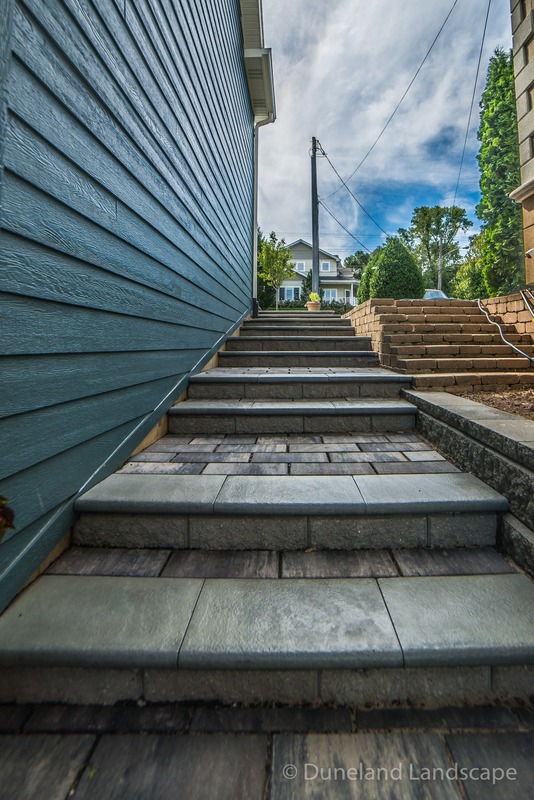 Furthermore, Duneland Landscape built a sturdy brick paver staircase and landing that leads down from the patio to the beach. 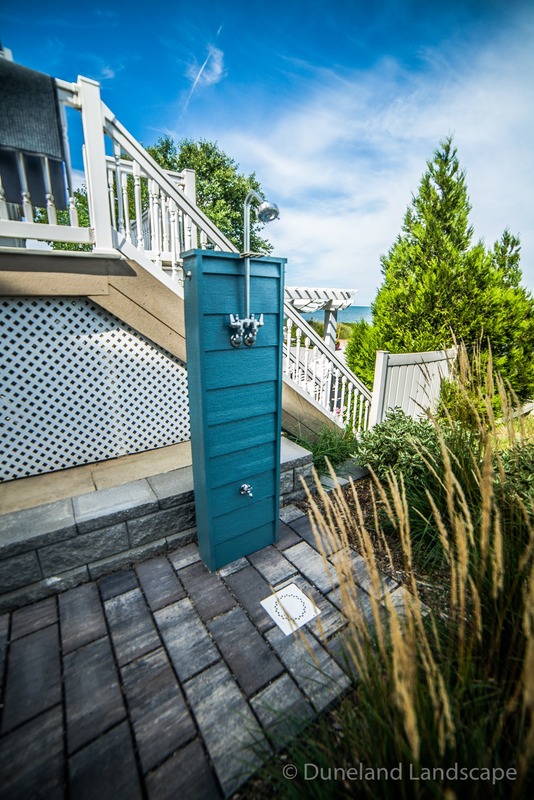 As part of this hardscaping project, we also installed a fully functioning outdoor shower for quick use after a day in the sand. 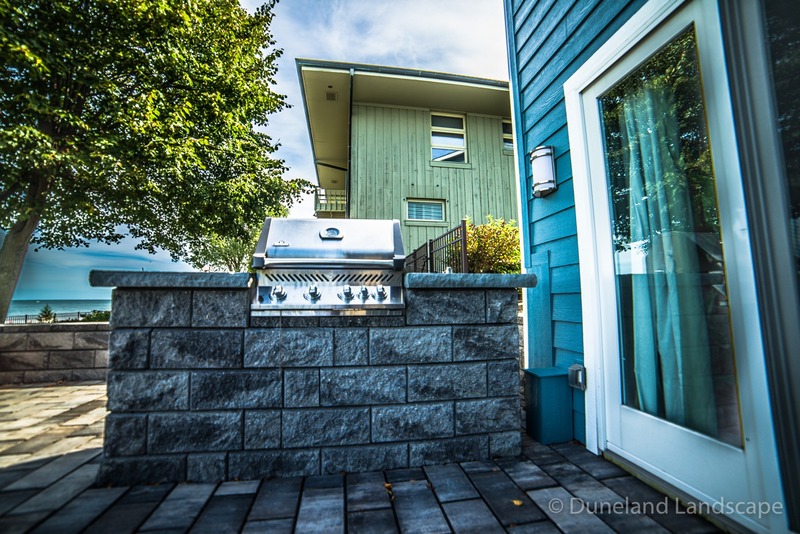 Finally, we constructed a modern patio grill that will allow this home to make the most of long summer nights on the beach, while entertaining family and friends. 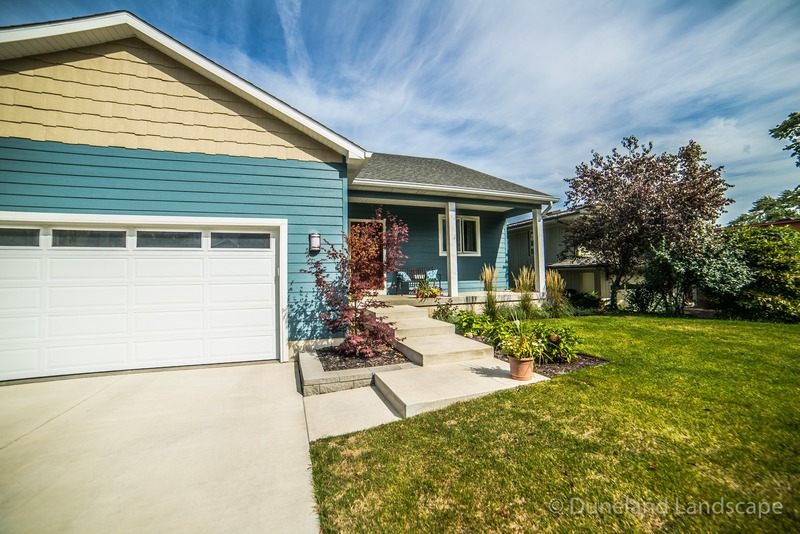 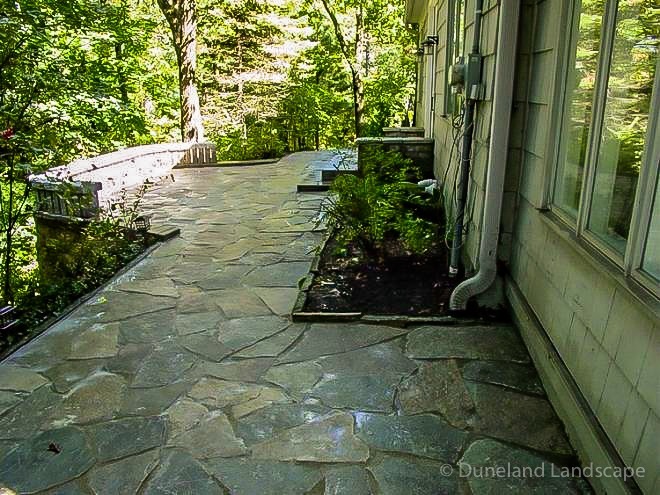 Don’t wait to transform the look and feel of your home’s curb appeal and outdoor living environment! 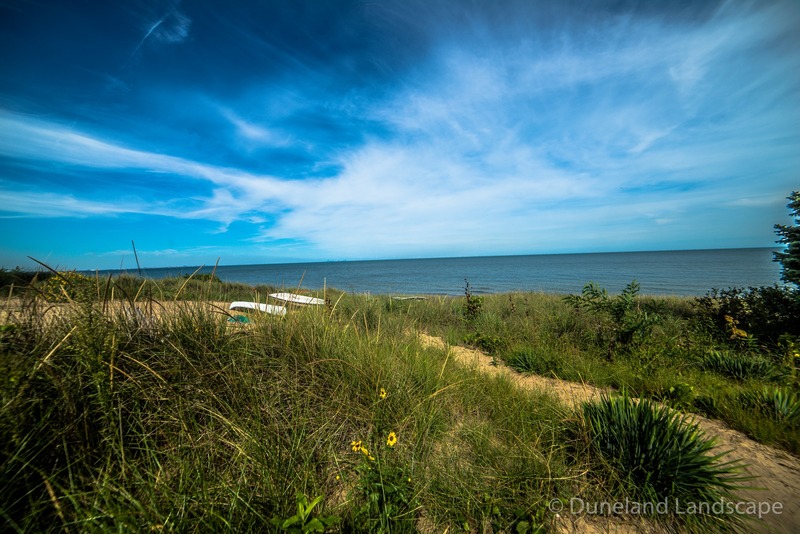 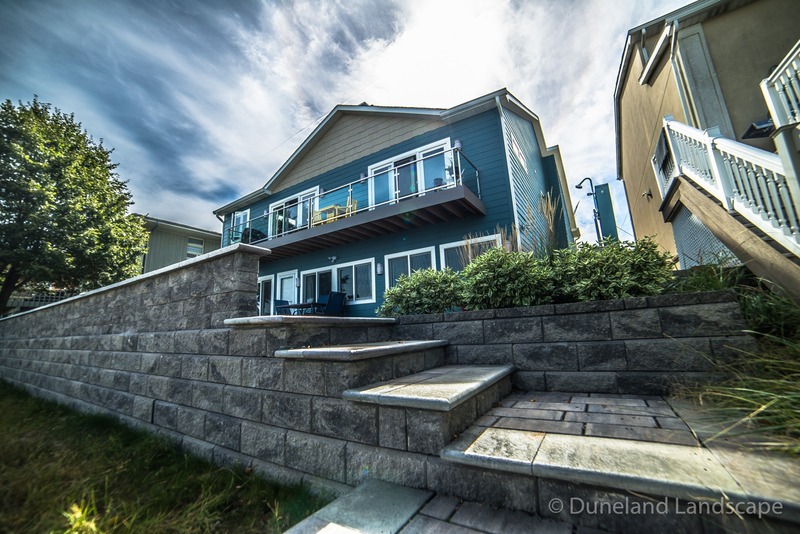 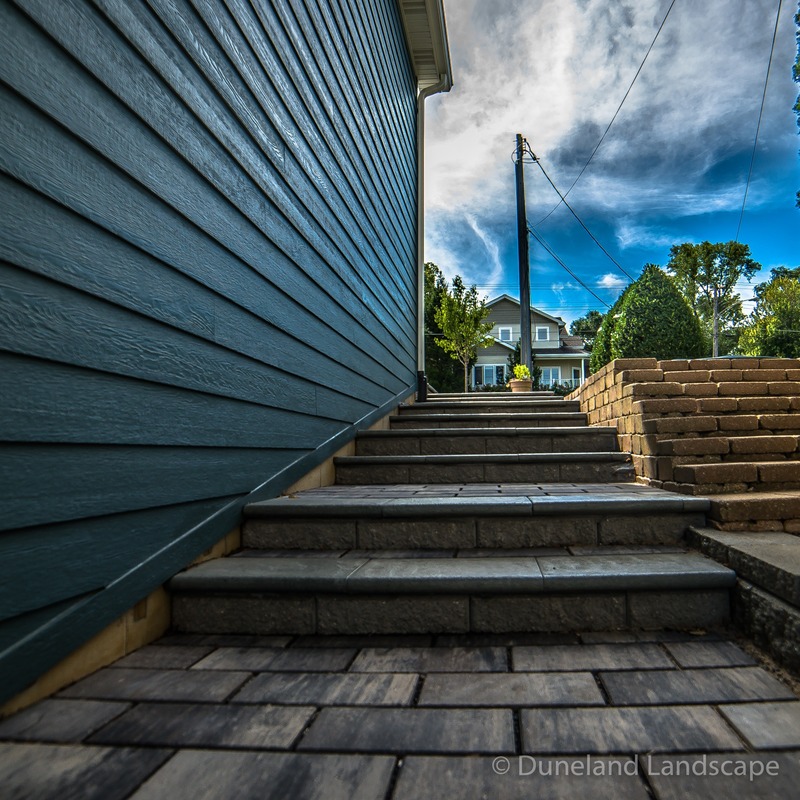 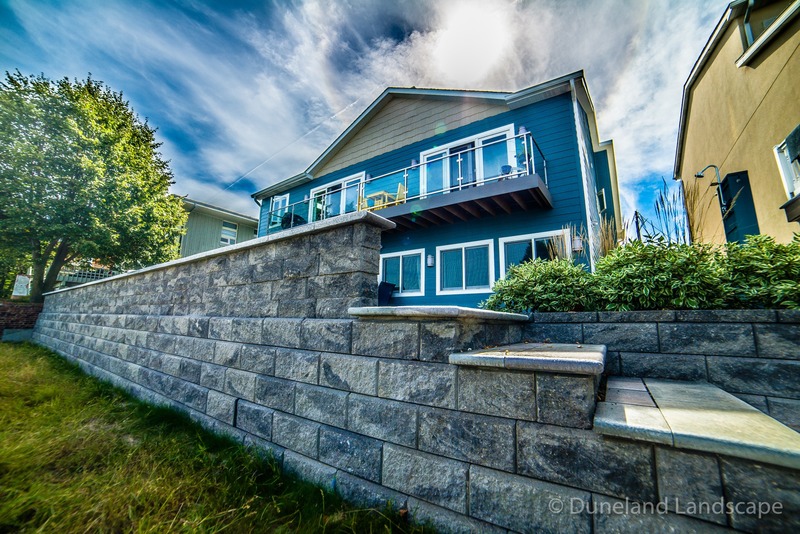 Contact Duneland Landscape today to see what custom landscape designs we can create for your home’s unique space.